Today we’re pleased to announce the release and availability of new nameplates for the Western Class 52 in both 4mm and 7mm scale. The nameplates for Western Enterprise include the Lion and Wheel crest which we are particularly pleased with. This weekend we are at the Wigan show, where we will have all the new products as well as our regular ranges in stock. Today we’re pleased to show some of our recent etches in our nameplates and depot plaques range. 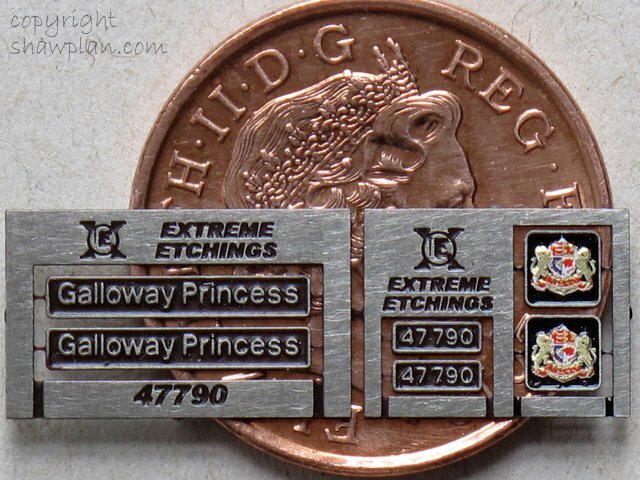 These are all measured from the actual locomotive nameplates themselves as we pride ourselves in ensuring the products we sell are of the highest quality. 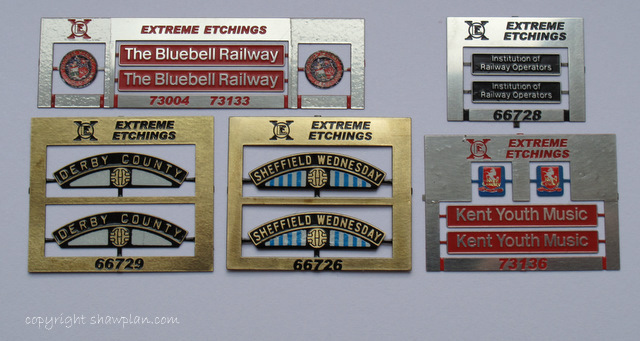 We’ve also just finished the complete range of depot plaques in 7mm scale. Whichever depot you wish to represent on your locomotive in either 7mm or 4mm scale, we are able to supply suitable plaques from stock. Like our nameplates above, these too have been measured from the actual depot plaques to ensure the accuracy and authenticity we strive for. Today we’re showing a selection of some the new nameplates into the range. We’re really pleased with the quality and enthusiastic reception we’ve seen of these releases. Double click the image above to see a larger image, and come and see us at a show and have a look for yourself. To contact, or order from us, please don’t forget to use the links on the right hand side of this page. This coming weekend we are at Stafford, see you there! We produce a wide range of nameplates and shed/depot/works plates in all of the three popular UK modelling scales, 2mm, 4mm and 7mm. Whilst the Shawplan range of nameplates will continue, we anticipate that as new plates are added to the range they will be supplied under the ‘Extreme Etchings’ brand. This will also be true for existing plates in the Shawplan range as they are photo re-tooled. 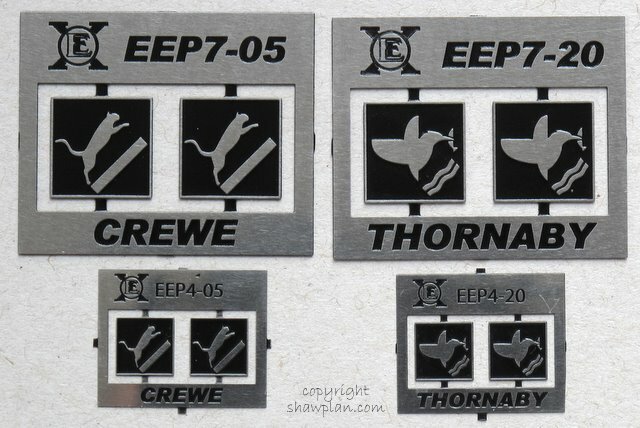 Most modellers are familiar with our nameplates and we also supply a range of etched accessories under the Shawplan brand name. These earlier products will in due course form a ‘heritage’ product line. 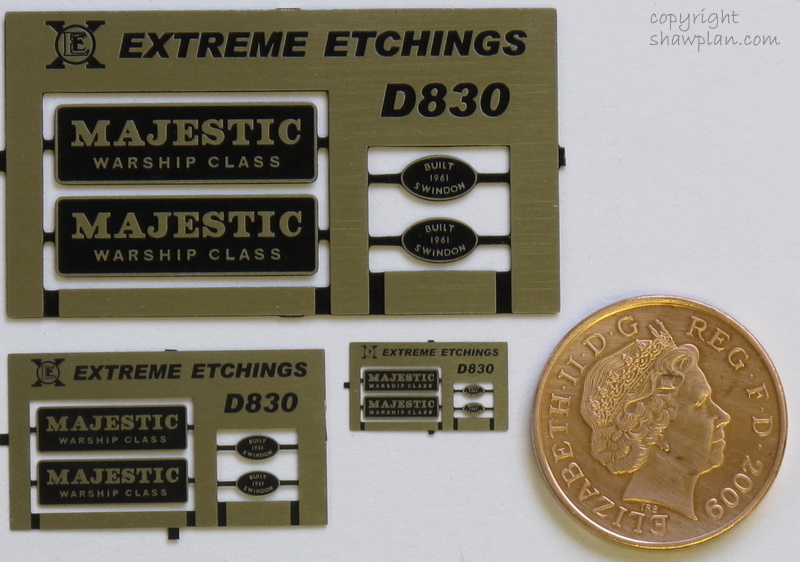 We recognise their value for those starting out in the hobby who want to improve their models, and that the multi-layer approach and finer detail of the Extreme Etchings range will not be for everyone.